Skydiving for organ donor awareness: Stephen Roche will be skydiving to raise money for the Irish Kidney Association during Organ Donor Awareness week. 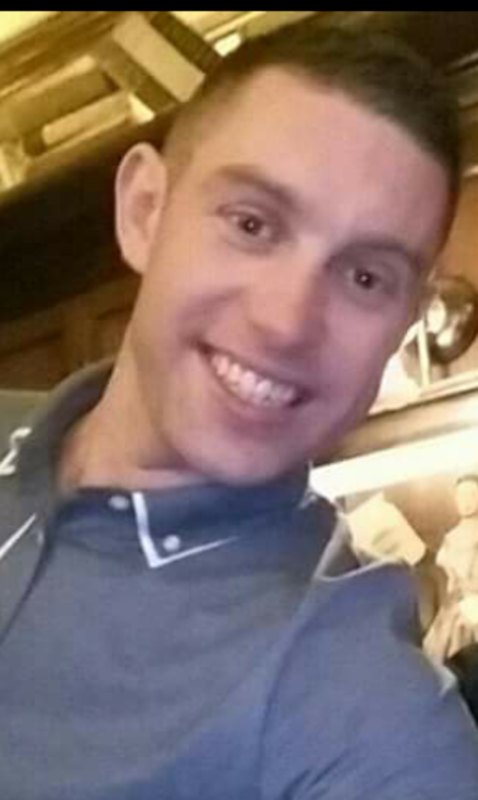 To honour his late mother who passed away six years ago during in the first week in April 2012, Stephen Roche from Belcarra, has committed to skydiving some 10,000 feet out of a plane in Kilkenny on Sunday, April 1. Stephen’s aim is to raise money and awareness for the Irish Kidney Association (IKA ) and its Organ Donor awareness week which commences on the same weekend as his skydive. Stephen, the third eldest of a family of four, is an active young farmer who farms a small suckler herd along with his father Joe. Stephen is also an employee at Aurivo’s Agribusiness animal feed mill in Ballaghaderreen. Stephen has committed to 2018 being the year he will fundraise for the IKA and helps to raise awareness about organ failure which contributed to his mother Marian’s untimely death. Since mid-February Stephen has raised close to €1,400 with thanks to the support of family, friends, work colleagues and his local community. He has also organised a Table Quiz in aid of the IKA which will take place at Corley’s Pub in Belcarra this Saturday, March 24 commencing 8pm. Stephen is really looking forward to taking on the challenge of the skydive: “I’m looking forward to my first skydive and I’m not afraid of the challenge. It’s a wonderful way to honour my mother’s memory while supporting a worthy charity, the Irish Kidney Association, and the work that it does in helping kidney patients as well as raising awareness about the plight of people with kidney failure and the importance of organ donation. "My mother was a very active person and the onset of her illness came on very quickly and we had no warning that she was suffering kidney failure. She suddenly became ill on St Patricks Day in 2012 she was brought to Mayo General Hospital. Some days later she was transferred to Galway and by this time she was gravely ill. Just over two weeks later my mother passed away at a young age of 57 years. “My family’s lives were turned upside down six years ago when my mother had an untimely death. It was too late when my mother presented in hospital suffering from kidney failure and despite the best efforts of medical and nursing staff and our numerous prayers she passed away on April 4 that year. She had retention of fluid caused by kidney failure which also led to other health complications which ultimately caused her body to shut down. At the end of Organ Donor Awareness Week, on Sunday, April 8, a Mass will be held at Knock Basilica at 12 noon. During the Mass prayers will be included for all those who are on transplant waiting lists, in thanksgiving for those who have received transplants, in appreciation for living donors and in memory of all deceased organ donors and their bereaved families. During Organ Donor Awareness Week, which commences on Saturday, March 31 volunteers from the Mayo branch of the Irish Kidney Association will be distributing organ donor cards and selling forget-me-not flower emblems and other merchandise in towns and villages around Mayo. Anyone who wishes to support Stephen’s fundraising activities can contact him on (086 ) 0650269 or email: [email protected].